The Temple recently elected Venerable Tsang Hui as its President. He is a very renowned member of the Sangha community, both locally and internationally: being the vice president of both the World Chinese Buddhist Sangha Federation and the World Buddhist Sangha Congress. Our newly elected President Venerable Tsang Hui shares with us his views on keeping Buddhism vital and relevant in this day and age in a recent interview with Ms Kay Chew Lin, Publication Secretary of NUS Buddhist Society. 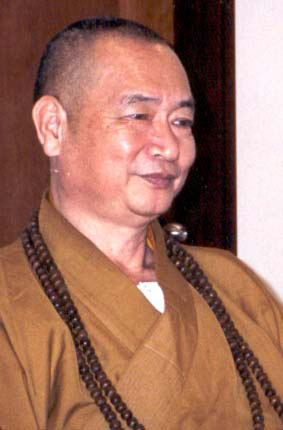 Venerable Tsang Hui believes that knowledge of the dharma must be the foundation of anyone's Buddhist practice; especially for the youth, it is imperative that this foundation be laid early. It is when one is young that there is time for Buddhist study, and it is with this knowledge that "faith, confidence and interest" in Buddhism can be cultivated. As a youth grows up and leaves the school environment, there are many demands on his time, and many distractions- he wants to build his career, and start a family. Without the foundation that was built earlier, he will have no basis to live a Buddhist life. Therefore, he believes that the greatest challenge of Buddhism today is to adapt to the times and focus on education. Without access to education about what Buddhism is, it is difficult for the public to truly appreciate its value- the development of wisdom, an insight into the purpose of living, the access to the tools that help us deal with the confusion and hectic reality in which we all live. In this regard, our President hopes that our Temple will continually make Buddhism relevant to daily life. Part of this is the changing, or broadening, of focus from social services to education. 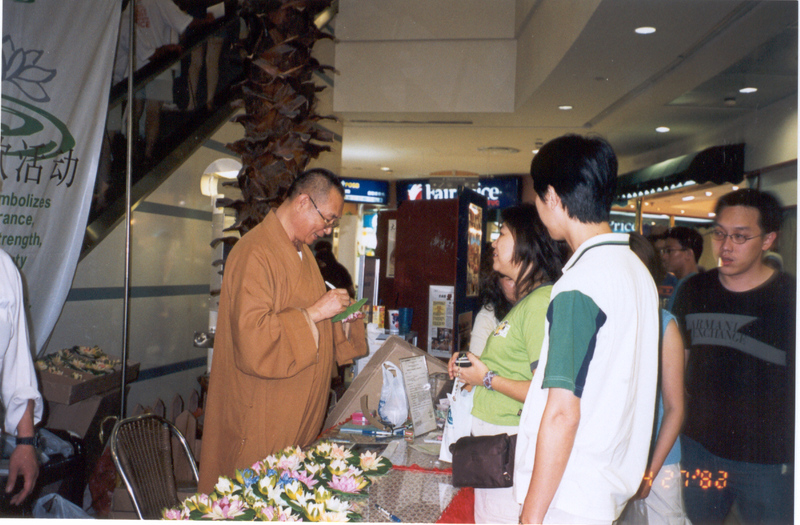 This forms part of his vision for Buddhism in Singapore as well. The venerable strongly emphasizes the necessity to understand the dharma; it is necessary for us to be able to effect change within ourselves, he says, before we can step up to help others. Therefore, we must understand and apply Buddhist teachings so that we have confidence in our beliefs, and a motivation to continue along the path because we know that our faith is not misplaced. With regard to community service, Venerable Tsang Hui commended on our active participation. While it is good that the Buddhist community is becoming increasingly involved in social services, he sees the need for the various Buddhist organizations to work together to mitigate duplication of services; the resultant redundancy will only cause an unnecessary drain on the already limited resources. An area, which he likes to add to our list of community projects, is the provision of subsidised psychiatric services, which will be a great boon for the community. Presently, there is a stigma attached to visiting a professional to help with one's mental health, though that is a perfectly legitimate thing to do. By moving this into a temple environment, Venerable Tsang Hui hopes to be able to reduce such stigma, thus encourage more of those who do need professional help to come forward. In conclusion, Venerable Tsang Hui believes that Buddhism is useful and relevant to modern living. However, this cannot be manifested or experienced without sufficient knowledge, and to ensure that the religion continues to thrive, it is essential that the sangha and the lay people come together to share their experience, vision, and passion.